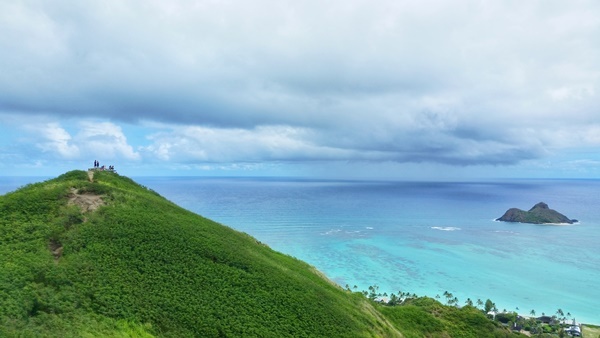 Hiking on Oahu will give you some of the best views. 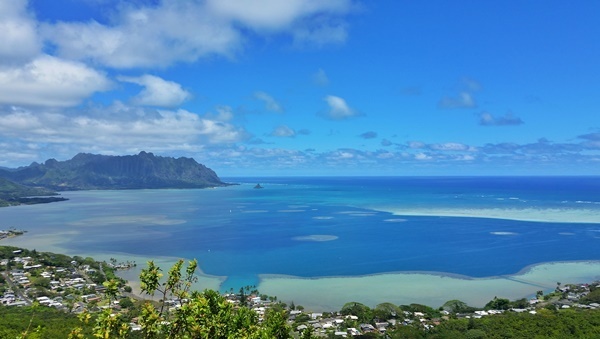 So of course you have to add one or two hikes to your Hawaii vacation itinerary! 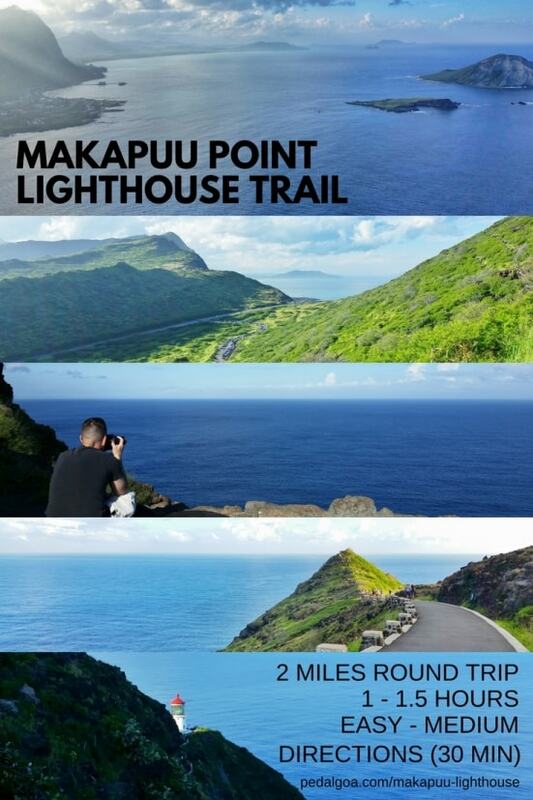 Here is a free digital pocket guide of Oahu hikes. You have the option of saving the guide as a pdf. 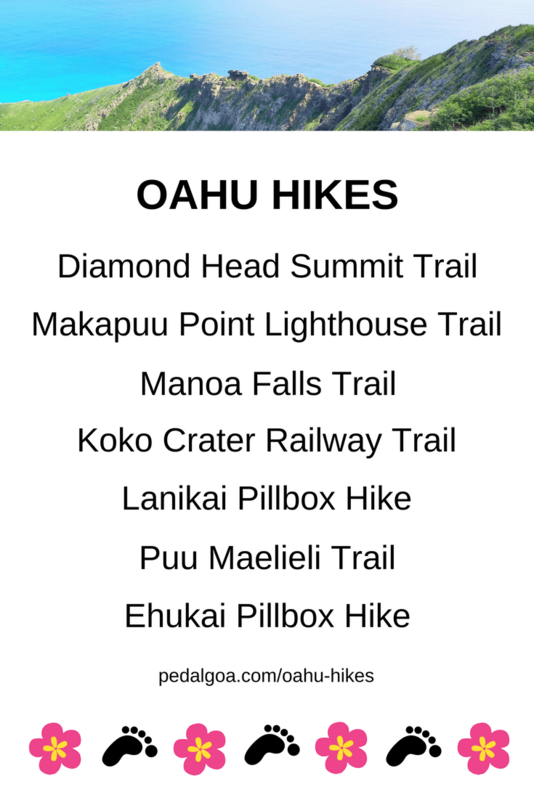 Save it to your phone and you can have easy access to information for some of the best hikes on Oahu right in your pocket! If you’re coming to this page from mobile Pinterest and the pocket guide shows up blank, first open up this page in your web browser and then try again. 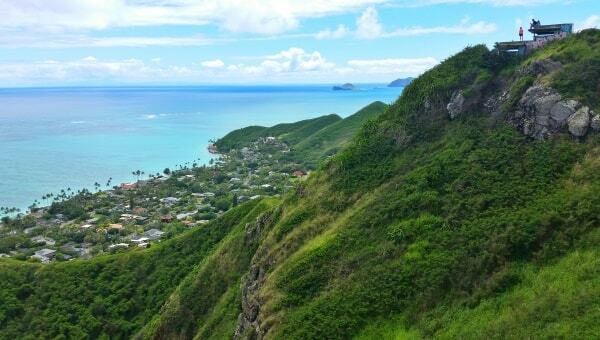 The Oahu travel guide includes 7 of the best short hikes on Oahu. 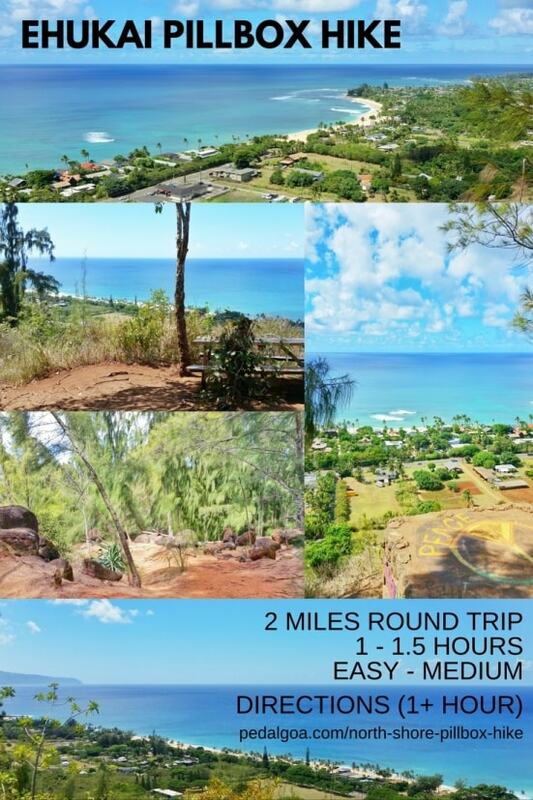 The selected hikes are visitor-friendly hikes, and all can typically be completed in under 2 hours. This includes time to take in the views. 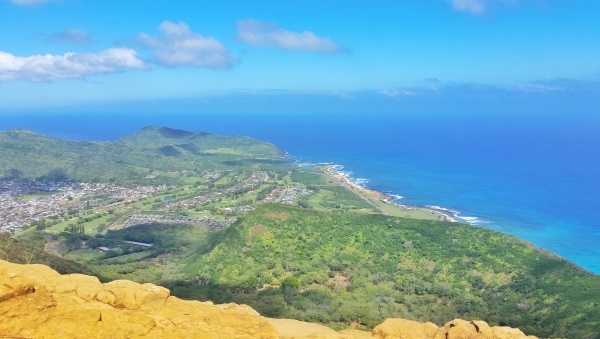 This means that you can dedicate a morning or afternoon to hiking, and then have the other half of your day dedicated to another great activity on Oahu! 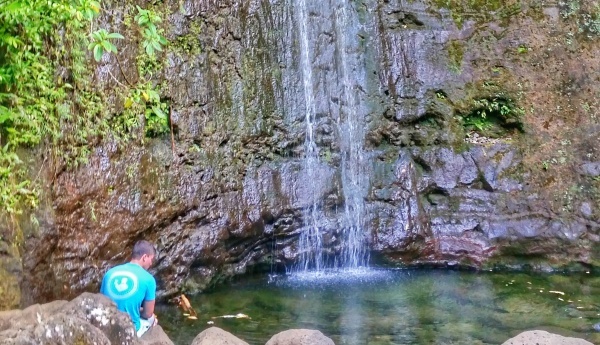 Make sure you are wearing the best shoes for hiking in Hawaii! 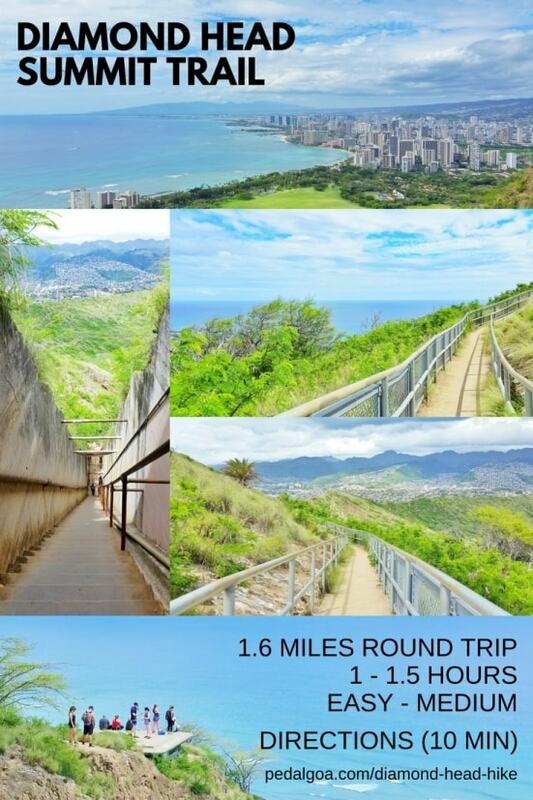 Pin the list of Oahu hikes for later! 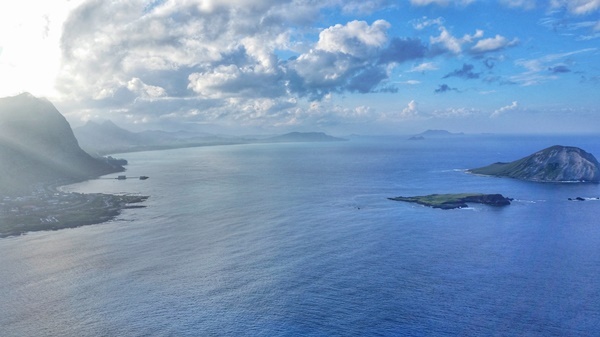 See pictures from these hiking trails below! 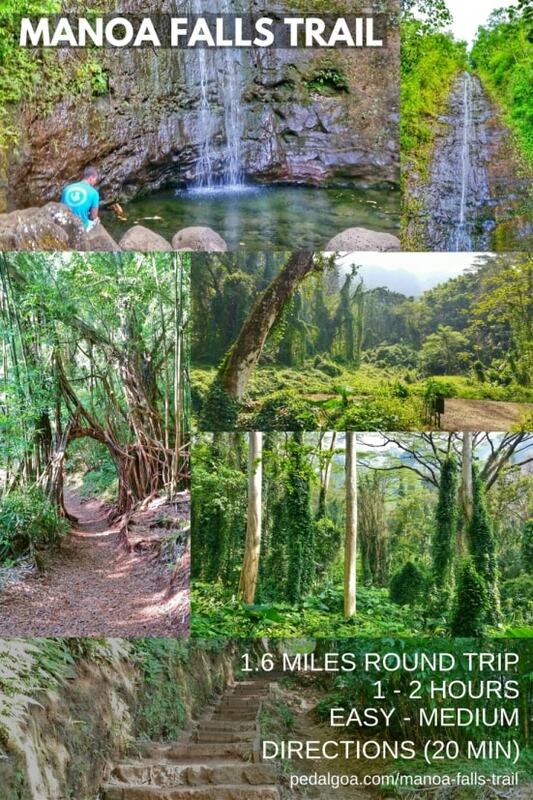 Use the Oahu hikes pocket guide as a digital travel guidebook when you’re in Hawaii! Most text within the travel guide is clickable. It will take you to information about the hikes. “Directions” will take you to Google Maps. The drive time from Waikiki is also listed. 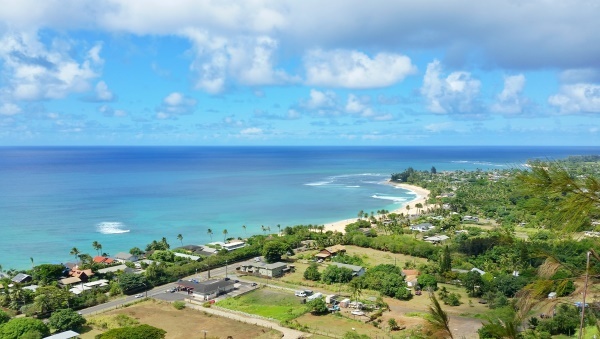 But some trails can be convenient to reach by bus too, since Oahu has a reliable public transportation system. 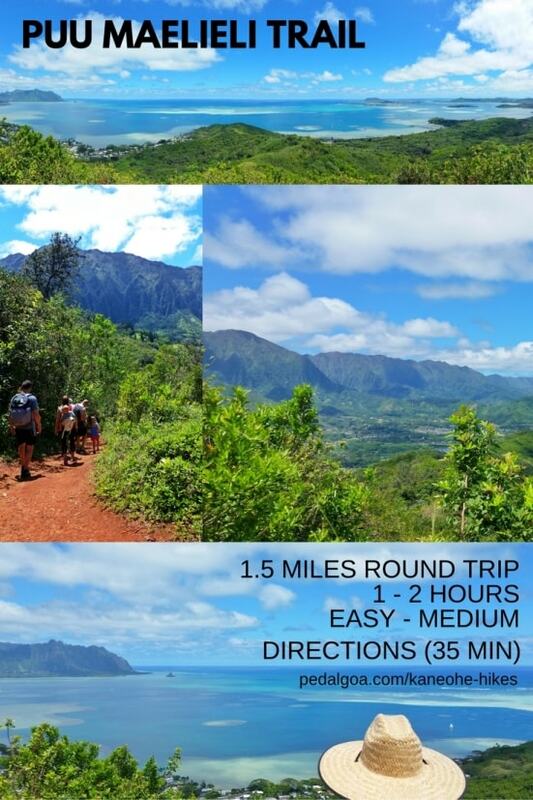 When you’re in Hawaii, open up the pdf so you can have directions to the trails at your fingertips! 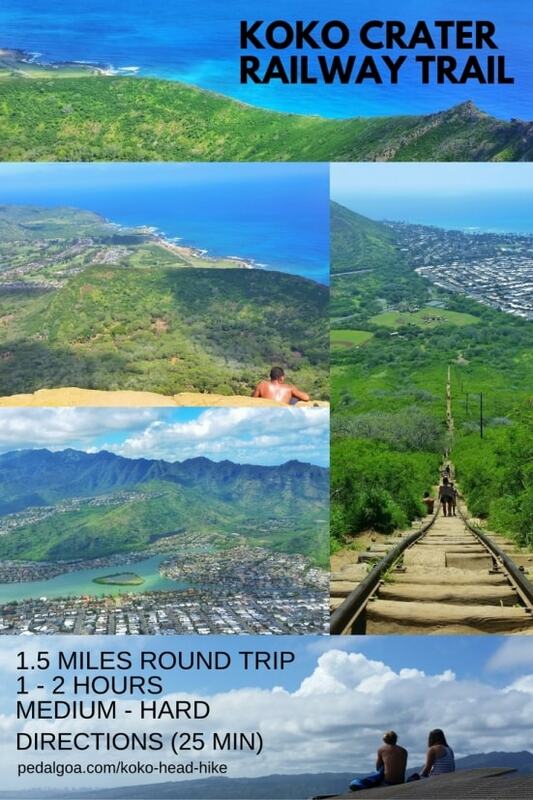 Use the pictures as a refresher on which hikes you were most interested in. Then simply click on “directions” to your hike of the day. Just change the starting point and method of transport: driving vs bus. 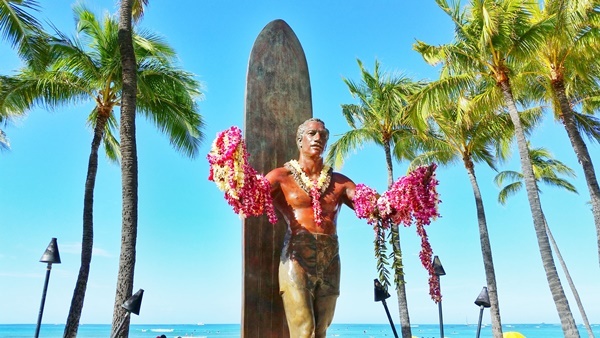 The default starting point is the Duke Kahanamoku Statue in Waikiki. 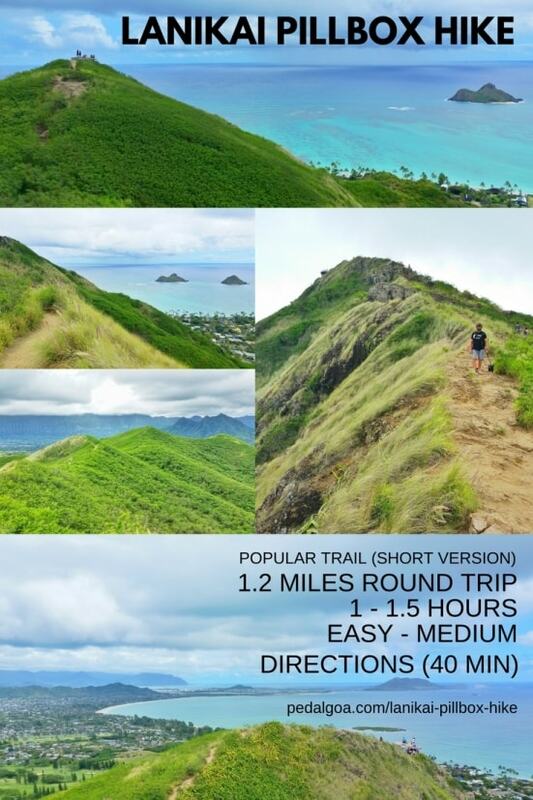 Now have a look at the Oahu hikes pocket guide! 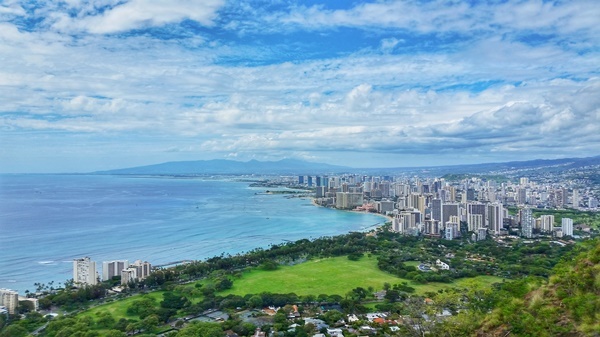 Tip for international travelers: If you’ll be in Hawaii without data, use the “offline Google Maps” feature to download the Oahu map to your phone before your trip to Hawaii. 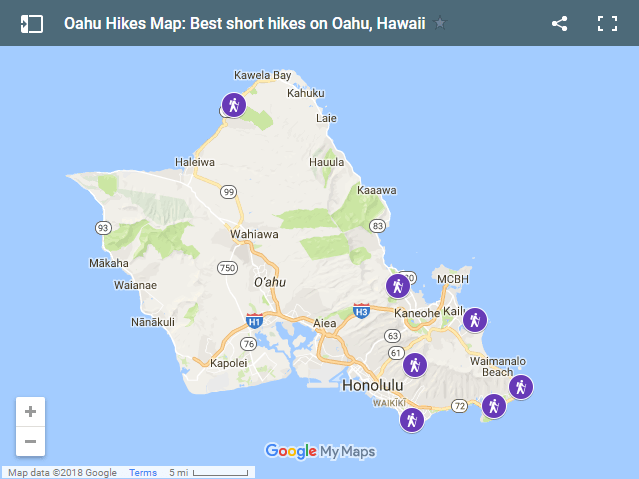 Explore this map of Oahu hikes on Google Maps! The time and distance listed for each of the hiking trails is meant as a general reference, as there are a number of factors that could influence these things. 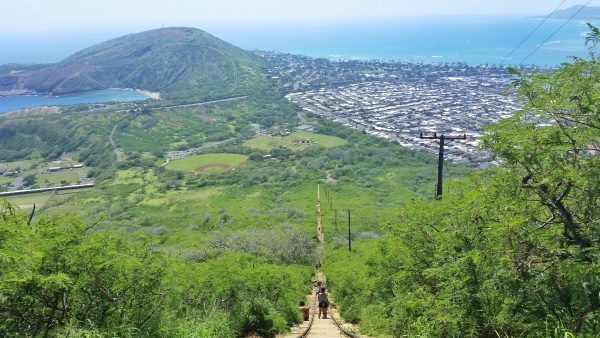 HIKING ON OAHU CAN BE DANGEROUS! Be sure to take precautions and hike at your own risk. While these trails are generally considered to be safe, conditions may arise that may make them unsafe. Nature can be unpredictable. Trail access may change. Proper footwear is highly recommended. Take warning signs seriously. No matter which hike you attempt, you must have a decent level of fitness. Even if you think you’ll be on the trail for less than an hour, it is always a good idea to take water on your hike. You will likely be hiking in hot weather that your body may not be acclimated to. Not only that, but you may end up out longer than expected. Taking snacks is also a very good idea, even if it’s a short hike. Again, just in case!